How Does One Determine Whether a Reaction Is Endothermic or Exothermic in a Calorimetric Experiment? Thermal dynamics, also called thermodynamics, is the process of how heat is transferred from one area to another. Heat is a form of energy, which means that the transfer of heat is actually the transfer of energy. For this reason, the study of thermodynamics is actually the study of how and why energy moves in and out of systems. 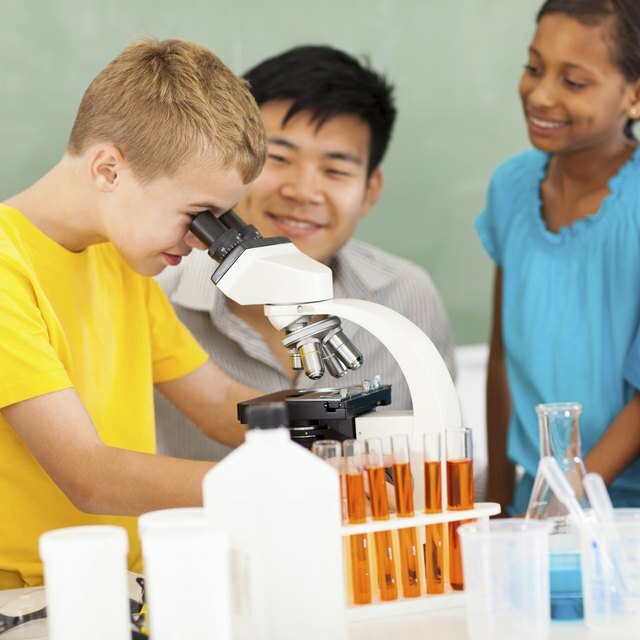 There are a variety of different experiments that can be effective in explaining thermodynamics to children. Before conducting experiments, children first need to understand the three laws of thermodynamics. The first law of thermodynamics states that any change in the internal energy of a system is equal to the system minus the work that's done by the system. The second law states that heat can never be transferred from a colder body to a warmer one. The third law of thermodynamics refers to the state of entropy, or randomness, in which a system, as it approaches a temperature of absolute zero, is forced to draw energy from other nearby systems; however, as it draws energy from these systems, it will never reach absolute zero, making the third law of thermodynamics a physical impossibility. A fun, and delicious, experiment kids can undertake is to make homemade ice cream, using a recipe found on the Kelvin's Kids Club website (zapatopi.net/kelvin/kidsclub). By following the recipe, children will have seen how heat energy in the ice-cream mix flowed into a brine solution, which was at a colder temperature due to the salt that was added to lower its temperature, until both the ice cream and the brine were at the same temperature. The heat of the warmer body transferred to the colder body until both became the same temperature, thus demonstrating the second law of thermodynamics. This experiment looks at why a pot of boiling water suddenly stops boiling when an ice cube is placed in it. Heat a pot of water on a stove until it comes to a steady boil, then place several ice cubes into the pot; the water will immediately stop boiling. This experiment likewise proves the second law of thermodynamics, demonstrating that the heat from the burner will always flow to the coldest object in the pot, which in this case is the ice. Therefore the heat from the burner stops making the water boil as it instead works to make the solid ice melt and become water. More child-appropriate experiments involving thermodynamics can be found in Peter Barnham's book "The Science of Cooking." Barnham, a professor at the University of Bristol, U.K., explains how food preparation and cooking meals involve thermodynamic principles. In the book, Barnham delves into the chemistry of foods, discussing how this contributes to the taste of a particular food. Barnham also explores the role of thermodynamics in cooking, with most chapters featuring a food-based experiment that kids can conduct. National Aeronautics and Space Administration: What is Thermodynamics? How Is Energy Conserved Within a Closed System? What is an Endergonic Reaction? 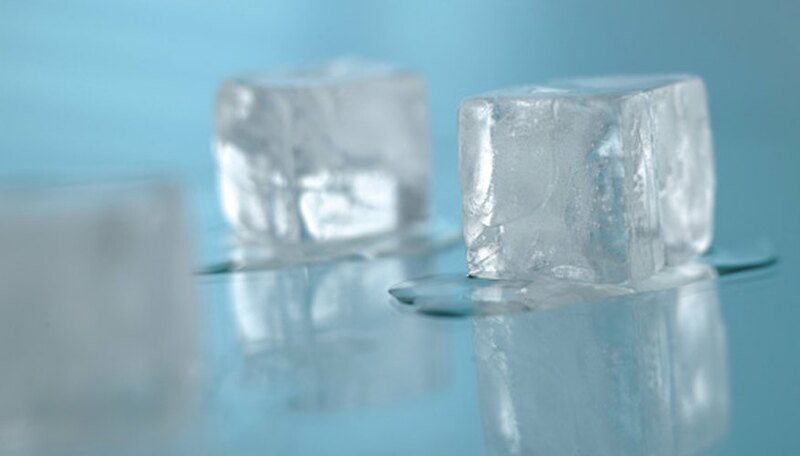 Why Does Water Melt Ice? Does Kinetic Energy Increase in a Drink When Ice Melts? Brent, Michael. "Thermal Dynamics Experiments for Kids." Sciencing, https://sciencing.com/thermal-dynamics-experiments-kids-8650438.html. 25 April 2017.